HQIP’s board of trustees meet quarterly, with one of the four meetings coinciding with the organisation’s annual general meeting (AGM). This is usually held in the autumn. Donna joined the RCN as head of Nursing in 2015. In 2016 Donna was promoted to Executive Director leading the Nursing, Policy & Practice departments. Prior to RCN Donna held various roles, including clinical director of emergency medicine at Barking, Havering and Redbridge University Hospitals Trust; Executive Director of Nursing, Southeast London Cluster Board; Director of Commissioning, London Borough of Southwark & Southwark PCT. She was the Strategic Commissioner for Lambeth, Southwark and Lewisham Health Authority’s Children’s Services. Donna advised the PM’s Commission on the future of Nursing and Midwifery in 2010 and served as nurse/child health assessor to the Victoria Climbié Inquiry. Alastair Henderson (Vice Chair) has been Chief Executive of the Academy of Medical Royal Colleges (AoMRC) since January 2010. The Academy is the umbrella organisation for Medical Royal Colleges and Faculties in the UK and seeks to support and co-ordinate their work, where applicable, on issues relating to medical education and training, quality of care and wider health service policy. 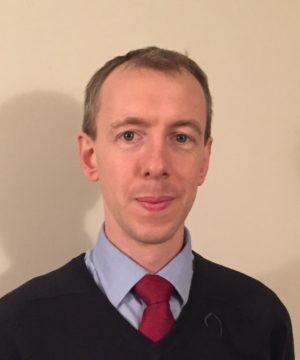 From 2004 Alastair was Deputy Director/Director of Operations and Joint Director at NHS Employers where he was responsible for a range of workforce issues including, at different times, NHS pay, pensions and employment issues. Alastair was previously Policy Manager at the NHS Confederation where he had responsibility for workforce and quality issues. He has also worked as a national trade union official for UNISON and in local government. Phil Baker, now retired, was Commissioned Services Director at the National Rheumatoid Arthritis Society. He has previously held posts at Arthritis Care, including Acting CEO in 2013. His professional history includes 10 years of marketing and promotions in the music industry, 16 years with Oxfam in various roles including Head of Campaigns and Senior Policy Advisor, and then CEO of Voluntary Action Swindon.Phil has been a trustee of 10 different charities, helping to found two of them. He has been a Foundation Governor of the Royal National Hospital for Rheumatic Diseases in Bath; a member of a number of `expert groups’ including two Department of Health QIPP working groups for Long Term Conditions and Enhanced Discharge (Year of Care) Pilot. He is currently Chair of the Quality Institute for Self-Management Education & Training. Robert Johnstone is a patient advocate. Having had Rheumatoid Arthritis for 55 years from the age of three, he has a wealth of experience as a user of health services. Since 1990, he has voluntarily represented people with disabilities & chronic conditions locally, nationally & internationally.Robert is currently Chair of Access Matters, a Board Member of National Voices, European Patients Forum (EPF) and the International Alliance of Patients Organisations (IAPO). He is also Director at Midstream offering training and employment for disabled people. Sheila Marriott qualified in Children and Adult Nursing in Sheffield. Sheila pursued a clinical career for twelve years, moving into management before becoming the Director of Nursing at Birmingham Children’s Hospital. She then held director positions at Regional Office and Strategic Health Authority levels before leaving to run her own healthcare consultancy business. During this time she worked with clinical and managerial staff on organisational change, and studied for a Doctorate of Management at Hertfordshire University.She is now the Regional Director for the Royal College of Nursing (RCN) in the East Midlands, which represents nursing and nurses, and shapes healthcare policies. Sheila is also chair of the clinical governance committee at Rainbows children’s hospice and the Board vice Chair. Dr Linda Patterson OBE FRCP has worked as a consultant physician in General and Geriatric medicine in both hospital and community services. She is currently a Non Executive Director of Calderdale and Huddersfield Foundation Trust and also chairs the Patient Safety Medical Specialities Expert Group at NHS England.Linda was recently Clinical Vice President at the Royal College of Physicians, with responsibility for Clinical Standards – she oversaw the Clinical Effectiveness Unit and the audit programme at the College. She is passionate about keeping the patient focus at the forefront of quality improvement work, and chaired the Patients and Compassion work stream of the Future Hospital Commission at the Royal College of Physicians. She has wide experience of management roles in the NHS – she has been a Trust Medical Director and the Medical Director of the Commission for Health Improvement (CHI), the first statutory quality regulator of the NHS in England and Wales (the predecessor to the CQC). Dr Victoria Tzortziou Brown is a London GP and has an interest in musculoskeletal conditions, GP education and health policy. She is also the RCGP`s joint Honorary Secretary with responsibility for governance and leading on College consultations, endorsements and representation. She was the former Chair of RCGP London. Victoria Tzortziou Brown is a board member of the Tower Hamlets Clinical Commissioning Group (CCG) where she leads on Integrated Care for adults with complex needs as well as on workforce and research. In her academic role at Barts and The London School of Medicine and Dentistry, Victoria undertakes research on the design and evaluation of healthcare interventions and their impact on professional behaviour and health inequalities. She is the vice-chair of the NIHR Health Technology Assessment (HTA) Prioritisation Committee A and sits on the NIHR Health Services & Delivery Research (HS&DR) Prioritisation Committee. She is a member of the Faculty of Sport and Exercise Medicine and has a clinical and research interest in musculoskeletal medicine and education. Victoria has been one of the founding members of the Health Foundation Q initiative which connects people with improvement expertise across the UK. She is a Senior Founding Fellow and Council member of the Faculty of Medical Leadership and Management (FMLM), a board member of the Professional Record Standards Body (PRSB) advisory board and a member of the NHS England Allocations Steering Group. Sarah is a chartered accountant, and also holds a Diploma in Charity Accounting from the ICAEW. She has worked in the public sector for over 25 years, both in the UK and overseas, including as Assistant Chief Executive at the London Borough of Southwark, and more recently as a local authority Corporate Director in South Lincolnshire. She is currently a Non-Executive Director of Peterborough and Stamford Hospitals Foundation Trust, where she chairs both the Quality Assurance and Charitable Funds sub-committees of the Board. She is also a Trustee of the Miscarriage Association, a charity with which she has a close personal affiliation. Sarah completed her Masters in Voluntary Sector Management at Cass Business School in 2015. Anne Marie Rafferty is Professor of Nursing Policy, former Dean of the Florence Nightingale Faculty of Nursing and Midwifery, King’s College London and Visiting Professor at Imperial College’s Patient Safety Translational Research Centre. She graduated (BSc) SocSci Nursing Studies (Edinburgh University), MPhil (Surgery) (Nottingham University) and DPhil Modern History from Oxford University. She won a Harkness Fellowship in Health Policy to the University of Pennsylvania and was seconded to the Department of Health to work with Lord Ara Darzi on the Next Stage Review of the NHS. She was awarded a CBE in 2008 and appointed to the Prime Minister’s Commission on the Future of Nursing and Midwifery 2009-10 and been the recipient of various awards; Nursing Times Leadership Award in 2014 and Health Services Journal Top 100 Clinical Leaders Award in 2015.; Sigma Theta Tau International Hall of Fame 2016 She holds fellowships from the Royal College of Nursing, American Academy of Nursing and is a member of the Parliamentary Review of the Welsh Health and Social Care Service. Michael leads Cancer Research UK’s Information and Involvement department. This provides evidence-based, accessible information about health and cancer, and works to ensure people affected by cancer are involved in the charity’s work wherever they can make a difference. He joined Cancer Research UK in 2013 and led the charity’s cancer intelligence and information innovation teams before taking up his current role. Previously he has worked as a member of the co-ordinating team for the National Cancer Intelligence Network, for the National Cancer Research Institute and as a strategy consultant. He originally trained as a biochemist, completing his PhD at the University of Cambridge.